Vikki Butano, Mark Burchill’s guest from Kosovo Fatos Axhemi and Kerrie Chamber’s son Alex Ward. Steve Olson presented two $5,000 checks to fire victims. The first was to Anca Lancu. Anca’s family lost their home and family farm including all the buildings and animals. Efren and Cecilia Vasquez lost their home and all the equipment Efren uses in his vineyard management business. Hopefully, our grant of $5,000 to each of these deserving recipients will help them in their recovery from the devastating fire. Our group observed a moment of silence for Diane Moresi who lost her mother this week. $195 Yankee Dollars are in the pot. Matthew Henry’s number was drawn – and he pulled the right marble! Congratulations Matthew! Don McMillan presented February birthdays. 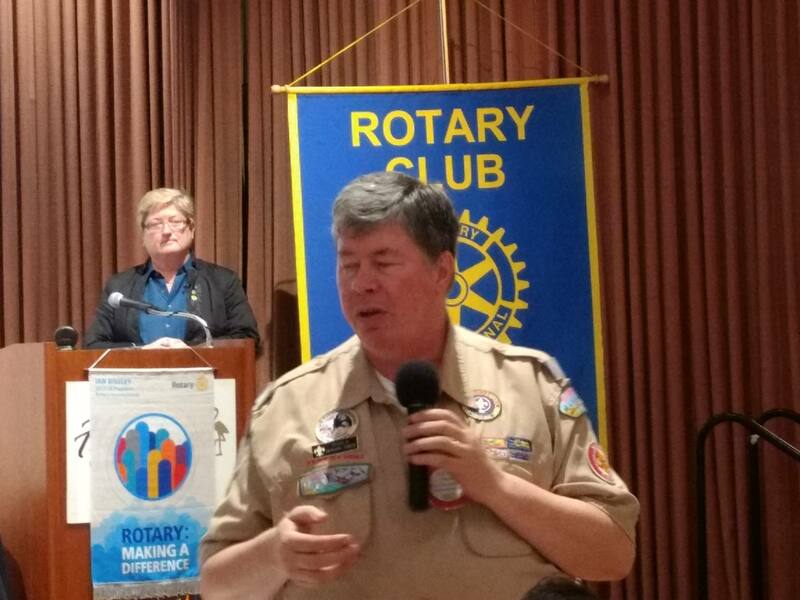 Charlie Howard-Gibbons told us about his life as a Boy Scout professional. 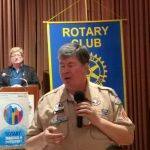 He told us how the Boy Scouts work with other organizations to perform service in the community. He has moved around the Bay Area for his profession, but less than most scouting professionals. Charlie oversees the work of 3 paid staff and over 900 volunteers helping community organizations, as well as camping and other activities. He considers it a privilege to be a scouting professional and a Rotarian. 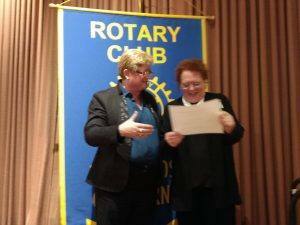 Debi Zaft, on very short notice put together a SCARC meeting at Legends complete with program and donated wine. 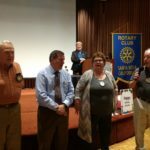 It was an excellent meeting and Debi was recognized as Rotarian of the Month. 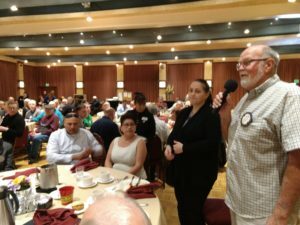 Julia discussed our annual search for a new meeting site ended with our decision to stay at the Flamingo. 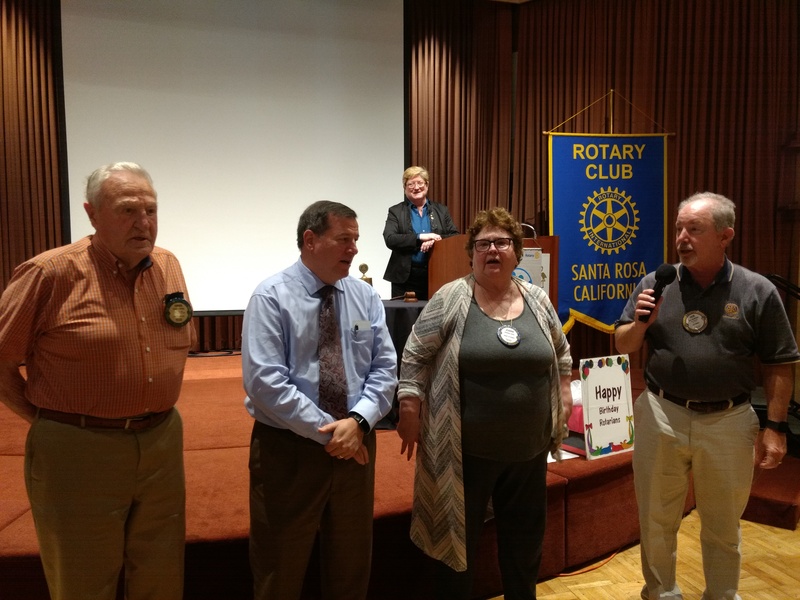 A thank you was sent from the SRCC for the outpouring of support starting with our Rotary Club’s $5,000 donation. Julia had 2 tickets to the West Club crab feed which were bought by Charlie the Boy Scout guy. Ryan Thomas announced our upcoming high school awards. Keven Brown announced Santa Rosa High’s singing Valentine Day fundraiser. Have kids from Santa Rosa High come sing to your sweetie! Matt Fannin announced there are 101 riders signed up and $8,500 in sponsorship pledges. Alex Ward from the Active 20/30 Club announced the upcoming beer fundraising event. 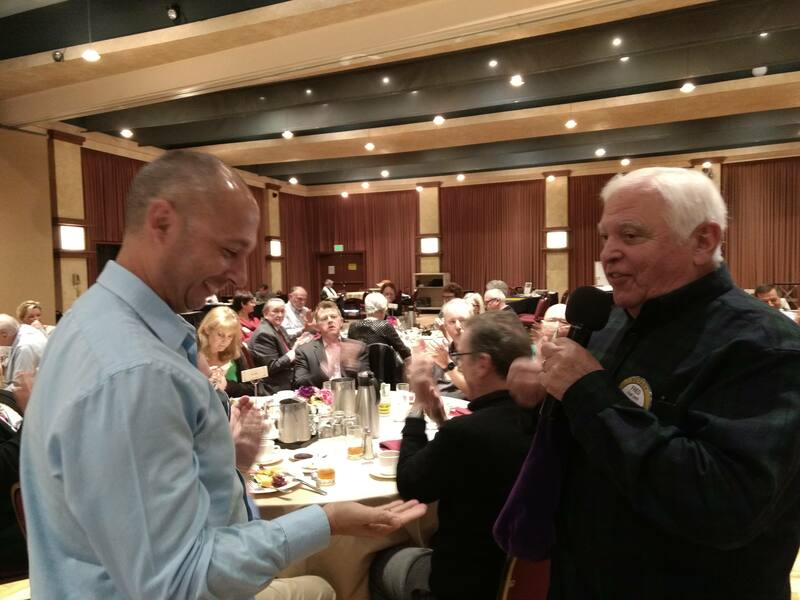 Ray Giampaoli exhorted club members to promote and sell raffle tickets for fire relief. He gave some ideas to sell tickets. Julia reviewed our situation and the fact that the fire relief fund is out of Money. The Sonoma Club has already raised 1 million dollars! We should be able to raise half a million! People who lost their homes, cars, livelihoods due to the fire need our help as soon as possible. Some people are now on the street because of their inability to pay first and last month’s rents. Ann Gospe described how to use Signup Genius to volunteer for duties at Giro Bello. Norm Owen is the president of our local foundation. 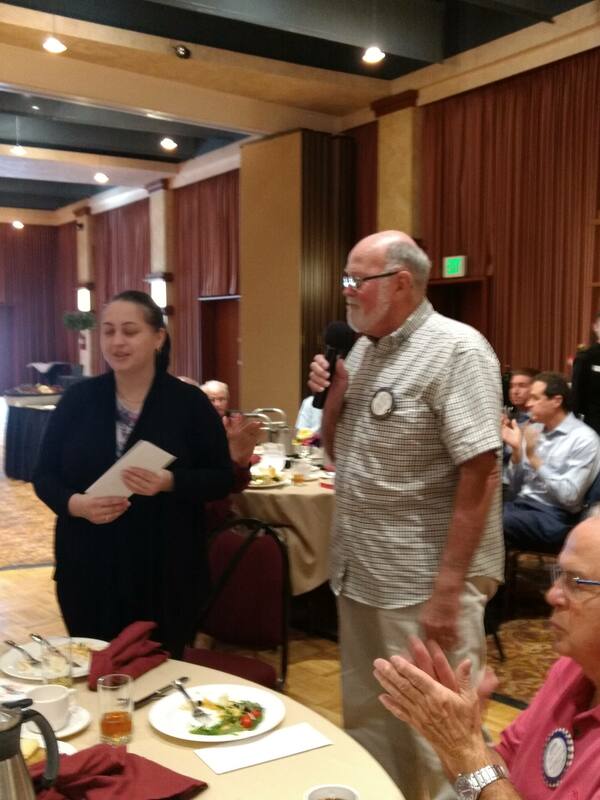 Norm told us that the foundation board meets monthly and sends out an annual report. 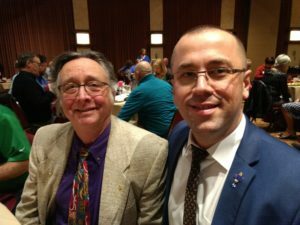 The foundation now has over 1.1 million dollars in funds. The foundation awards for a variety of education and non profit organizations. Board meetings are on Mondays at 3pm each month. Today, $13,000 of pass through funds were awarded for this year’s Giro Bello and our dictionary projects. 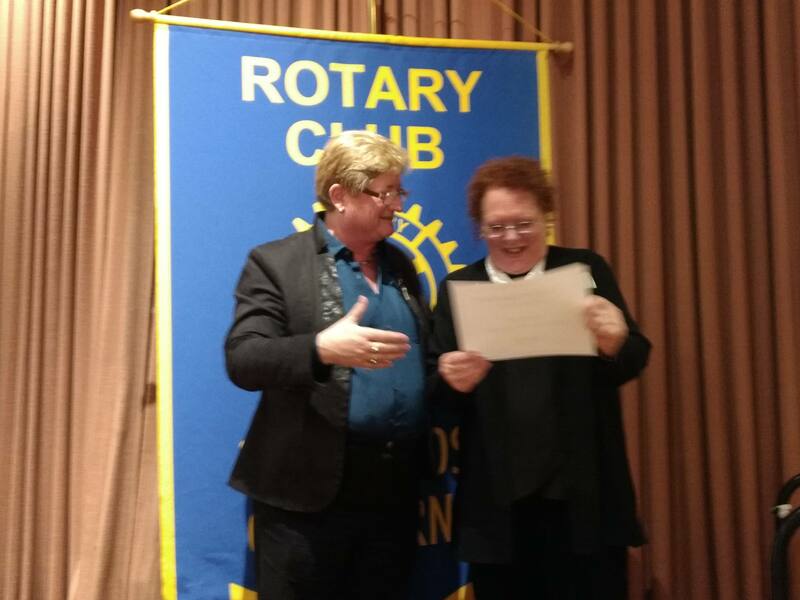 The Rotary Club of Santa Rosa Foundation is pleased to announce that Past President Jeanne Levin has establish a scholarship fund as part of her estate plan which will benefit a student majoring in theater arts and transferring from SRJC to the university level. By designating the Foundation as the beneficiary of her SEP-IRA, Jeanne has established an endowed fund that will benefit students in perpetuity. 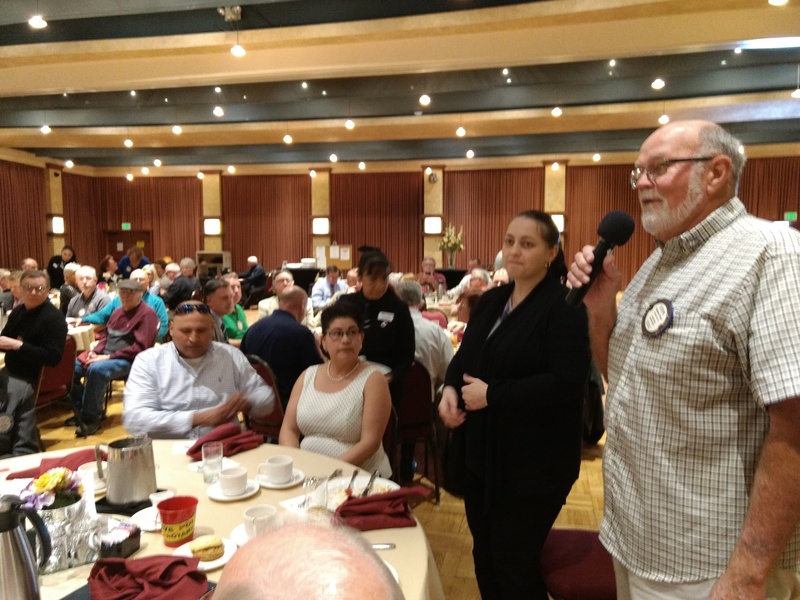 Rotarians who are interested in establishing a scholarship fund within the Rotary Club of Santa Rosa Foundation are welcome to contact Jeanne for complimentary advice and assistance. 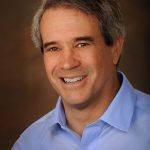 Steve Olson – Scholarship Committee Chair art and other activities.